(13 mins) In this episode, Dr. Hackie Reitman continues his conversation with Kimberley Spire-Oh. Kimberley is a private attorney for Special Education and Disability Law, and is a special education advocate, and is also a mother with epilepsy. In addition to serving on the board her at Different Brains Inc., Kimberley currently serves as co-president of the Learning Disabilities Association (LDA) of Florida, co-chair of the League of Women Voters of Palm Beach County’s Education Committee, co-chair of the Juvenile Justice Committee and member of the Advocacy Committee for LDA of America; on the Board of Advisors for the Council for Autism and Neurodiversity; and as a member of the Florida State Advisory Committee for the Education of Exceptional Students, the Florida Developmental Disabilities Council’s Partners in Policymaking 2012 Class, the Florida Association of Special Education Attorneys, the Disability Rights Bar Association, as well as the Palm Beach County School District’s Diversity and Equity Committee and Exceptional Student Education Advisory Committee. 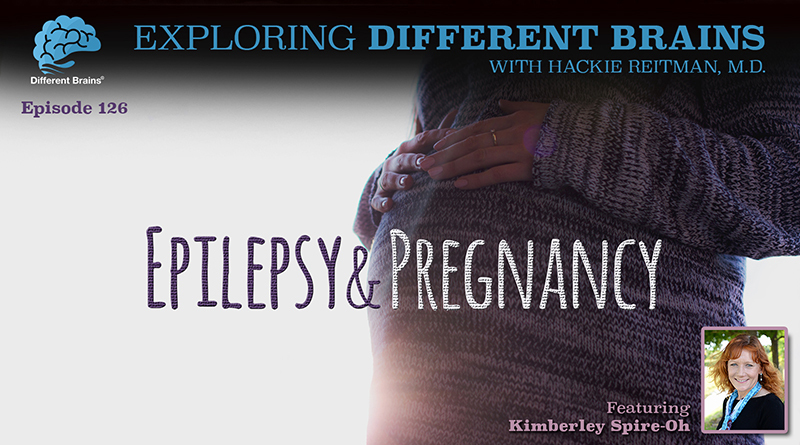 Kimberley discusses the challenges of pregnancy with a seizure disorder, and gives advice for women with epilepsy that want to become mothers. HACKIE REITMAN, M.D. 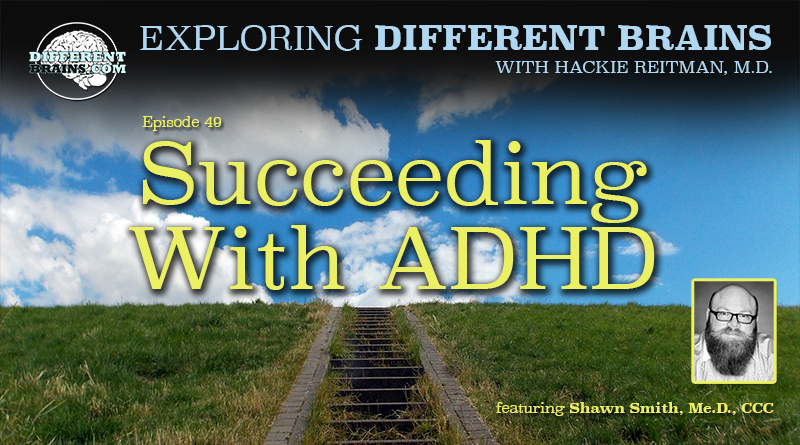 (HR): Hi I’m Dr. Hackie Reitman welcome to another episode of Exploring Different Brains and this time, for this episode, we have, returning to us again, one of my favorites, Kimberly Spire-Oh, the special needs and special education advocate attorney, who’s out there championing for all of us on so many different boards and what she does in her law practice every day. Kimberly, welcome. KIMBERLEY SPIRE-OH (KS): Thank you very much. I’m happy to be here. 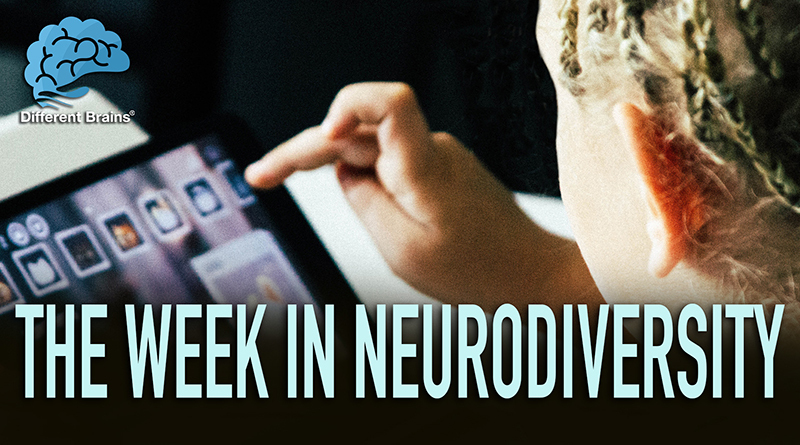 HR: Now, Kimberly, one of the things you know we’re trying to do here at Different Brains is to get rid of the stigma involved when one has a neurodiversity. 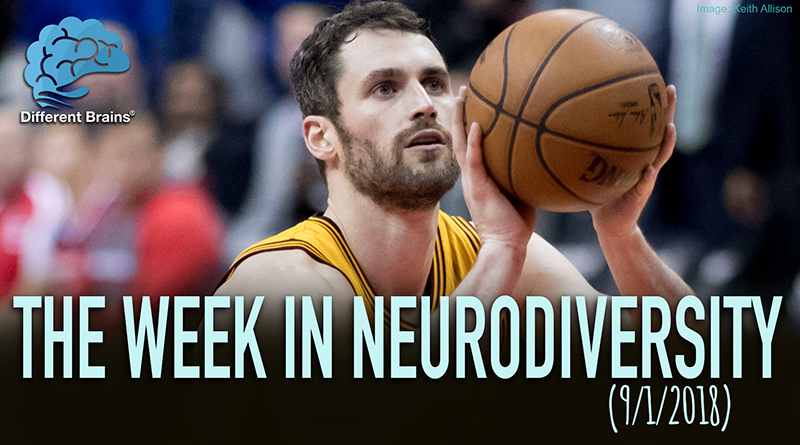 So why don’t you tell our audience about your own neurodiversity? KS: When I was 14 I was diagnosed with a very rare form of seizure disorder it’s called paroxysmal konista genic choreoathetosis and the whole right side of my body, the muscles will contract; I can feel my scalp contracting my face somewhat distorts half my tongue is frozen so I can’t speak, it’s like holding your tongue. Our muscles will form a claw and my foot curls under in a way all of these things, I wouldn’t be able to emulate it exactly normally but the muscles really contract it lasts about 10 to 20 seconds and it could happen up to 30 times a day. It’s not a very common thing at the time I was diagnosed there were only 300 people in the world who had that diagnosis. I happened to be in Saint Louis at the time and we have really wonderful doctors so they were able after a lot of testing to figure out what was going on and the first medication that they attempted Dilantin. Worked very well in controlling the seizures that I had. So over the years it started to kind of develop into more other types of neurological symptoms and included migraine headaches of different types some that had just a headache and some that had no headache and just an aura and nausea and light sensitivity and all of the traditional aura symptoms and I started developing vertigo sometimes I couldn’t feel my arms and legs and face and you know just all these different symptoms. My doctors started to suspect MS, but I found a doctor down at University of Miami who was able to rule out MS and said all of my conditions were interrelated to an inability to process calcium the way normal people do. So it’s calcium channelophathy and he found that instead of having to take seizure drugs or any other medications I could take verapamil and it would bring all of my levels of sodium, magnesium, potassium, and calcium to the optimal levels so that I wouldn’t have symptoms and I only have to take it for a short time and I was able to stop taking all my other medications for these different conditions. HR: Which brings up a very interesting point I find so many times people either are anti-medicine and for behavioral and cognitive therapy and conservative treatment and as an MD when I practiced orthopedic surgery I knew it was a combination of both, it’s a combination of both things that so-called integrative medicine. I want this to be a segue, now into you obviously have your own unique brain and now let’s fast-forward for how your son Chris is doing at this time. KS: He’s doing well, and I don’t know if you want me to go back to the medication issue, but he had been on medication when he was younger. He started having bad side effects from it he was very much underweight he started having neurological symptoms that were distressing and getting migraine headaches, having panic attacks that were extremely bad where he had to go to the hospital because he had to you know stop breathing and turning purple and kind of fainting spells. So we had to take him off of medication and replace that with different types of therapies and self coping skills and as an adult or young adult he has indicated that he never wants to go back on medication though you know sometimes I think he has developed a lot of really good coping skills. I can talk him through times when he’s feeling in severe anxiety and you know exercise is a huge help for him whenever he’s feeling stressed or feeling a lot of symptoms. He can go for a walk, he can walk for miles and miles and miles and it’ll make him feel better. HR: Now does he have the dog or do you have the dog? KS: He has the dog right now, he has an emotional support dog that he rescued from a shelter and Bruce has been a tremendous help to him and Bruce is very sensitive to Chris. So if Chris is really upset he you know knows that and when Chris is extremely upset he’ll even kind of seem to get upset. You know Chris is shaking Bruce will start shaking. HR: Well when Bruce the emotional support dog visited us here at Different Brains my only objection was he wanted to take my job you know, and he put on his glasses and everything was unbelievable. Kimberly, would you care to share about some of the challenges you experienced during your pregnancy? KS: Yes women with epilepsy have to face some difficulties that most people wouldn’t really think about, but when you’re planning to have children the medications and treatments that you have to undergo can have significant implications for the fetus and the health of the child that you plan to have. I became aware of this when I was 16 and my doctor who I’m not sure this was very appropriate but said to me you have to be careful about becoming pregnant because you will have quote two-headed babies. That really scared me but at that time I was not planning on having kids. When I was 29 and I was ready I wanted to find out if he was just trying to scare me or if it was something that was true and the different medications that you can take and even the seizure disorder itself can have effects on the pregnancy. So for my condition every time I have a seizure it cuts it would cut off the blood flow for any baby that I would have had, and every time that happens it can cause brain damage or it could cause death. So I knew that I couldn’t go without medication which was my first hope. I even suggested, because my seizures are only caused when I’m running around and moving around, I suggested that I go around in a wheelchair for a nine months and my doctors told me no absolutely not because there was still a risk in getting in and out of the wheelchair that I could have a seizure and end up not being able to be effective. So I had to consider three different medications that worked for my disorder I consulted doctors in the Massachusetts General Hospital and they have a project they are called the anti-epilepsy drug registry the AED registry and they did genetic consulting with me and they recommended the three medications that would work with my disorder one of them was phenobarbital which would cut that would cause the baby to be born addicted to drugs and have to go through a horribly painful withdrawal. Number two was Dilantin which is the first drug that I took when I was young and that one can cause severe hand deformities that cannot be corrected through surgery. The third one tegretol, which was the medication I had been taken taking in my adulthood and that one has a very high risk for spinabifida. We chose to go the route of the tegretol because there is a protective medication a form of B vitamin called folic acid that can have a protective factor. So I took that religiously for several months before becoming pregnant and all through my pregnancy the AED registry followed me throughout my pregnancy and my doctors followed me very closely and actually they took the sample of the amniotic or you know the whole amniotic sac after I gave birth to check that and see the levels that were in it, and they followed my son for the first few years of life to see the outcomes. They have been incredibly valuable in providing information to other potential mothers of what their options are and what the risks are and then everybody that they get involved in the project provides them with even more information so the future generations are going to have an easier time in designing the best way to become parents. HR: Wow that’s quite a story. You should write a screenplay. What advice would you have for someone out there who has epilepsy, who’s a female and is thinking of starting a family? KS: I would advise them to seek out a geneticist and get information about their condition and their family history just so they know what risks are involved. I encourage them to look into the AED registry because I think that it’s world renowned as far as the information that they can provide but they need to know that you can do it, you can have healthy children. There are certain things that I had to be taught as far as once my son arrived people with seizures have to be careful about using changing tables because if you set your child down and then you have a seizure nobody’s going to be able to keep the baby on the table and the child is at risk. So I had to learn to bring blankets that I could lie him down on the floor or on you know a low settings so that I didn’t have that risk when you’re a new parent you are not getting enough sleep and lack of sleep can be a risk factor for epilepsy. So you don’t you know you’re more at risk to have seizures while you’re going through those early stages of having an infant. So being aware of that and trying to do a lot of self-care and get as much rest as you can is another thing, but you can do it just reach out for the resources and information that you need to do it successfully. HR: Kimberly Spire-Oh, how can people find out more about you? KS: I have a website www.ksolawfirm.com. HR: KSO, for Kimberly Spire-Oh. HR: Kimberly, thanks for being here again, here at Exploring Different Brains. Keep up the great work you do for so many. (3 min 12 sec) In this episode, David Begnaud of CBS News discusses his life with Tourette’s, Santa makes one boy with autism’s visit a special one, a father creates an app for his son with dyslexia, and more!